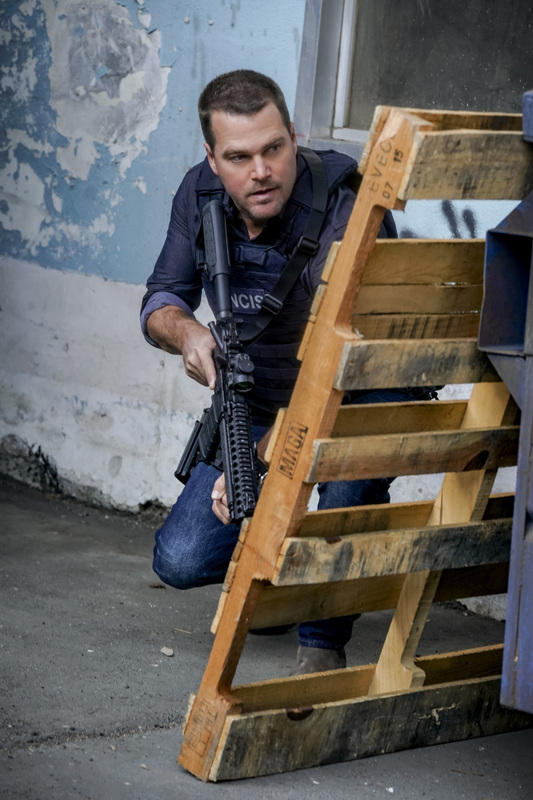 Preview images and guest cast list for the NCIS: Los Angeles episode "Into The Breach"
“Into the Breach” is the title of a new episode of NCIS: Los Angeles airing tonight (March 3) on CBS. The NCIS team investigates the murder of a journalist who was writing an exposé on a mishandled classified military operation. Also, as their wedding day quickly approaches, Kensi and Deeks work on the last remaining items on their to-do list, on NCIS: LOS ANGELES, Sunday, March 3 (9:00-10:00 PM, ET/PT) on the CBS Television Network. Guest stars in “Into the Breach” include Peter Jacobson (Special Prosecutor John Rogers), Marsha Thomason (NCIS Special Agent Nicole DeChamps), Pamela Reed (Roberta Deeks), Cedric Sanders (Retired Marine Sergeant Odell Ikande), Colby French (Phillip Beckett), Victoria Platt (Hannah Nessbaum), Matty Cardarople (Danny), Sterling Jones (Marine Major Jonathon Perkins), Dominic Pace (Hargrove), Derek Chariton (Kirby), Alexandra El Kahwagi (Ruya Ghanem), and Thomas Crawford (Jeffrey Kelly).